Xmax - In-depth project interview and new team members. A lot of activities have been happening of recent with XMax project in general, there been some causes for few changes, new team members, change/update of road map et al. It's been a journey of good, expected and unexpected happenings but the good thing is it has all worked out to contribute in one way or the other to where we are today with XMax project. If you've been a regular visitor of their Twitter handle you must have noticed that of recent they ran a bounty program for weeks and it just ended recently. And also, you should be aware of the new daily update strategy the team has adopted to not just only keep the present followers of Xmax in the loop of things going on daily in the project but also to, according to their daily reporter, speak to the future so that about a year's time new followers of the project can be able to go through their channel and follow through on how it all started, knowing about their struggles and success. That's cool of you ask me. It's a good way to go and you can follow up on their daily updates on Twitter. Apart from the recent news of adding two new members to the team, updated Whitepaper and an update stating when the bounty tokens will be shared, there was one other unique activity that token place. There was an In-Depth Interview with TOPSIX Lab that saw lights thrown on various areas of the project, thoughts on Investing, the current state of crypto market, Technology and the Future of Blockchain. Briefly in this post, I will be highlighting some of the major points (in my opinion) that were raised and answered during the interview. Just as any official interview like this will conventional start, the first point of call was for the team to explain the XMax project idea and the expected real-life problems it can solve.. In responding to this, the XMax team representative made it clear that the focus of their project (or target market like some will call it) was entertainment and game developers. He went further to explain that with the XMax project idea, developers in these two market niche will be able to easily and quickly create DApps to put their ideas on a blockchain without knowledge of complex programming. This is going to be made possible with their Blockchain SDK made for Simplified Development. On the issue of real life problem solved, it is expected that by simplifying development on blockchain, there can be a more direct game developers to user relationship and users also will gain the benefit of ability to freely and truly trade their own items. sidechains is designed to support interoperability between xmax blockchain and third-party blockchains. It can also help DApps outside xmax ecosystem to scale on blockchains. The interview went in with more questions ranging the usefulness of the XMX token, their present state with road map time schedule and availability of their code to personal take on the present crypto market state and as well as more acceptance of cryptocurrency. The XMax representative stated that for Cryptoindustry and products to be more accepted and used by the general public, there is a need for more general public education about blockchain. "We need to find ways to explain cryptocurrency in very easy-to-understand terms to a wider group of people." And regarding the question of world wide usage of crypto products, the response was Simple UI, Less trading Hassl, Making of admin Tasks Simple (in areas where it is taxed) and Development of more Fun and useful Games and DApps. You can get the full gist of the whole interview from this link. Whitepapper updated with new faces revealed in the team member’s section. 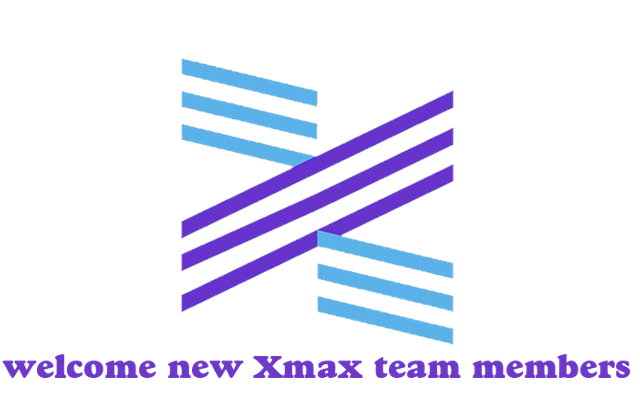 Recent news that was posted by the Xmax team was the addition of new team members as a response to the call of the community’s demand. A public announcement of two new team members was made recently and the people added were Bree Shen (Head of Human Redources) and Siyan Pan (investment Director). A brief insight into these two individuals was given in the recent weekly update of the team. Bree Shen was a former HR Business Partner and consultant for Siemens while Siyang on the other hand posses a cross-field background in computer science business and finance. See here for more details about the new team members. Follow for more details and new updates.